All 30 rooms of hotel “Mediteran”, are the result of carefully combining elegance and comfort with the conveniences of modern technology. 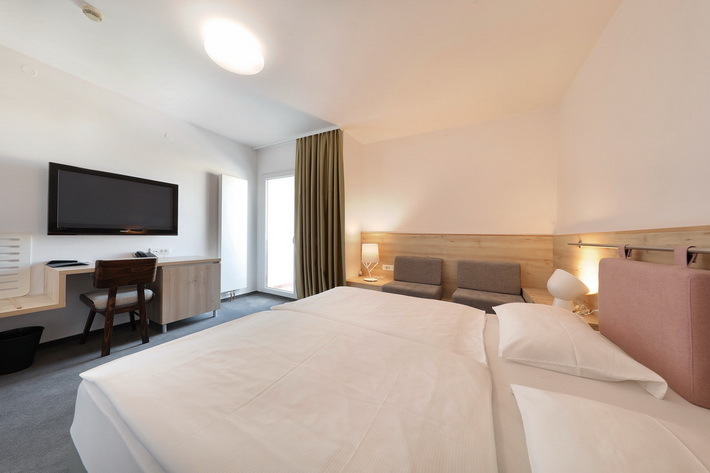 The hotel offers 6 comfort rooms, 22 standard rooms with the possibility of an additional bed and 2 standard PLUS rooms. All the rooms are adapted to the needs of contemporary traveling. 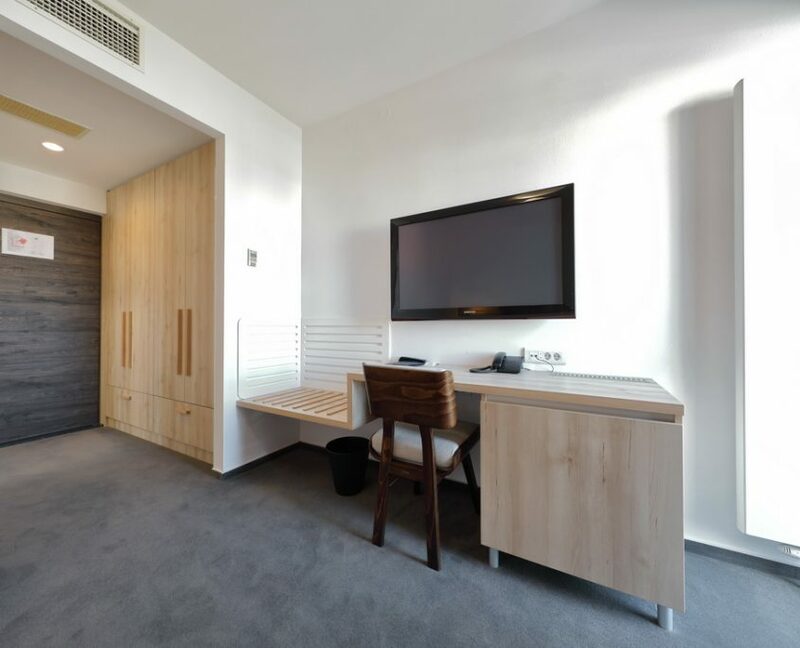 They are equipped with air conditioning, heating, telephone, TV/SAT, mini bar and complimentary LAN and W-LAN internet access that will keep you connected to your home or office. The ambience of our 24 m2 standard rooms offers every guest a pleasant stay. Each room has a private balcony. Some rooms have an additional light source and seems even brighter and more spacious. If you are a business traveller, you can relaxafter a hard working day and choose from a variety of TV channels on the 32″LCD-TV. If you need to prepare for a presentation or a business meeting, you will find in each of the rooms a desk and all necessary connections for your computer and smartphone. The WIFI access is free of charge. Our rooms are due to their spatial arrangement and a size of 28 m2 ideal for a longer stay. Of course, you can also use the advantages of our comfort room during a short stay. 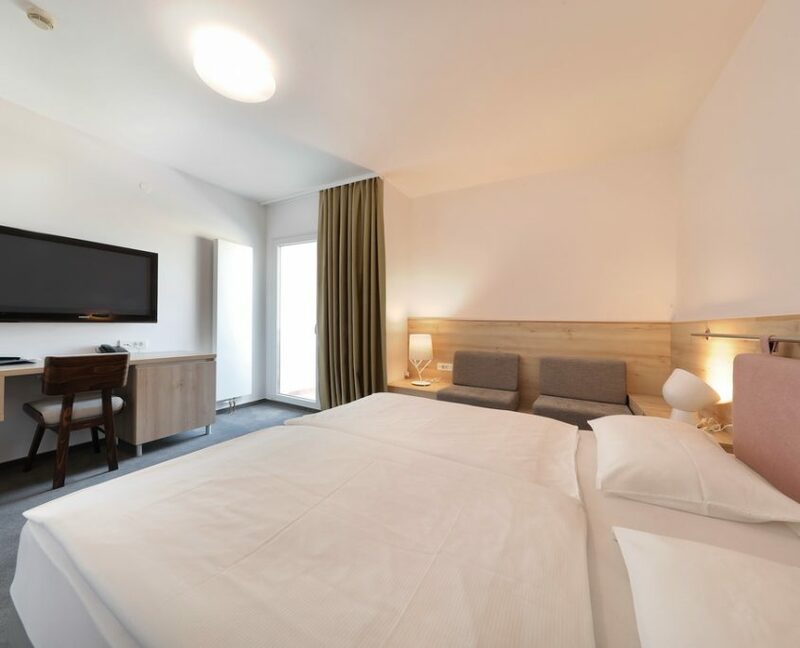 King size bed, access to broadband Internet with speed up to 15 Mbit/s, 42″LCD-TV connection, private room safe. 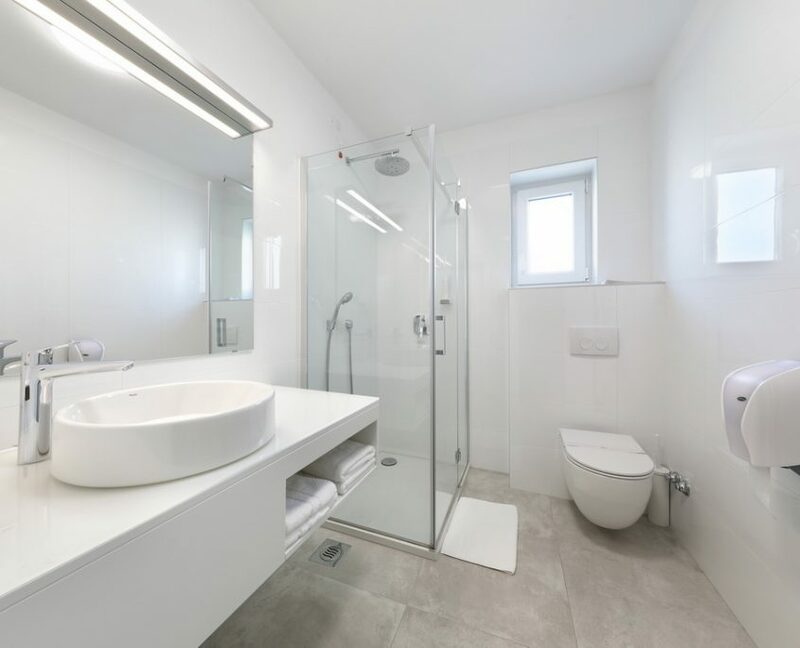 The bathroom is equipped with a shower, bidet, WC and hairdryer. Use also our selected assortment of body care products.